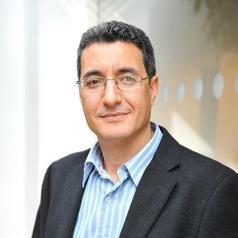 Kamel Mellahi is a Professor of Strategic Management at Warwick Business School. He is known for his research on the social and economic impact of nonmarket strategies and emerging market economies. His other research interests straddle international strategies of emerging markets multinationals, organizational failure and turnaround, and global talent management. Kamel has published eight books and over 80 scholarly articles in top tier journals such as JIBS, JoM, JMS, and SMJ. He serves as a Senior Editor for the Journal of World Business and Consulting Editor for the British Journal of Management. He is a previous (co)-Editor-in Chief of the International Journal of management Reviews. He edited a number of special issues for JWB, LRP, IMR, IJHRM, GOM, IJMR, etc. Kamel contributes to debates on nonmarket strategies and emerging markets economies, and frequently appears on radio and TV around the world including BBC (UK), Bloomberg (USA), CCTV (China), CCTV America (USA), tbs eFM (S. Korea), VoA (USA), National Public Radio (NPR) (USA), BBC Mundo (Latin America), Money Radio (USA), KGO810 Radio (USA), 938-LIVE-Singapore-Radio (Singapore), China International Radio (China), CNTV (China/Europe), etc. He regularly writes op-eds and articles for various newspapers and magazines including China Daily, CNBC, City AM, South China Morning Post, The Conversation and The Street. His comments on issues pertaining to nonmarket strategies and emerging markets are widely quoted by major newspapers and newswires around the world, including AP, Reuters, Xinhua, Hegnar, CNN, CNBC, Bloomberg, Forbes, La Tribune, The Guardian, LA Times, Fortune, Financial Times, The Times, Daily Mail, Metro, Gulf Daily, الشرق الأوسط , Deutsche Welle, Le Temp, The Hindu, Huffington Post, Christian Science Monitor, China Daily, and Wall Street Journal.